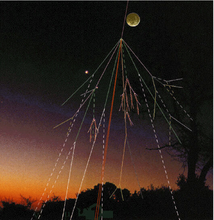 Cosmic rays were discovered by Victor Hess at the start of the 20th century in a series of pioneering balloon experiments. Over the last hundred years cosmic ray researchers have climbed mountains, descended into mines, flew hot air balloons and travelled to the four corners of the Earth in order to understand more about these energetic particles from space. This research is ongoing with experiments such as the Pierre Auger Observatory in Argentina and the ANITA balloon experiment in Antarctica. Energetic primary cosmic ray particles bombarding the upper atmosphere produce a non-stop flow of tiny subatomic particles, called muons, at the Earth's surface. On the order of 10,000 muons per square metre rain down every minute. Could this flux of particles, provided by nature, be utilised in the areas as diverse as security and archaeology? The UCL CREAM TEA project intends to find out. The field of cosmic ray muon tomography dates back to a series of pioneering experiments by E.P. George in the 1950s. 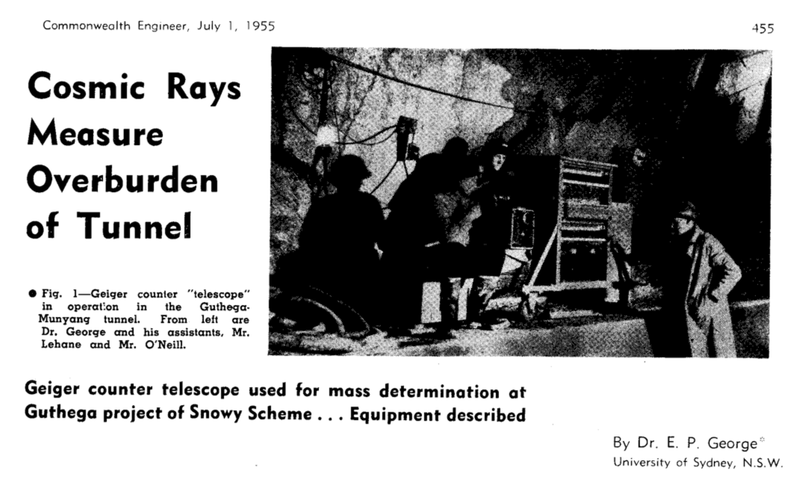 George used the flux of cosmic ray muons to image the ice burden above tunnels dug into Australian mines. This imaging technique was furthered in the 1960s by Luis Alvarez et al, who used the absorption of cosmic ray muons above their detectors to search for hidden chambers in the Pyramids of Egypt. In recent years there has been a resurgence in global interest in muon tomography. This resurgence, whilst driven by changes in the geopolitical landscape following the terror attacks of September 11th 2001, has been fuelled by the dramatic improvements in detector design and construction, and data processing capabilities. At UCL we have initiated the CREAM TEA project to research the potential of using plastic scintillator based muon detectors to image large volumes (eg. sea containers, cargo vehicles, train stations, etc.). Muons are the most penetrating form of charged particle radiation, they can be absorbed or deflected as the pass through material. By detecting this absorption or scattering it is possible to build up a three dimensional image corresponding to material density, these images can be used to identify anomalous materials such as bombs or fissile material. With longer exposure times muon tomography imaging techniques could be applied to other fields outside of security such as imaging the contents of nuclear silos or imaging old fragile relics unsuitable for x-ray interrogation. We offer at least one fourth year undergraduate each year on the project, see the course Moodle page for details of the project and other HEP projects. For further details please contact Prof. Ryan Nichol.